Remove the rear brake drum. Refer to Brake Drum Replacement. Remove the electrical connector for the rear wheel speed sensor. 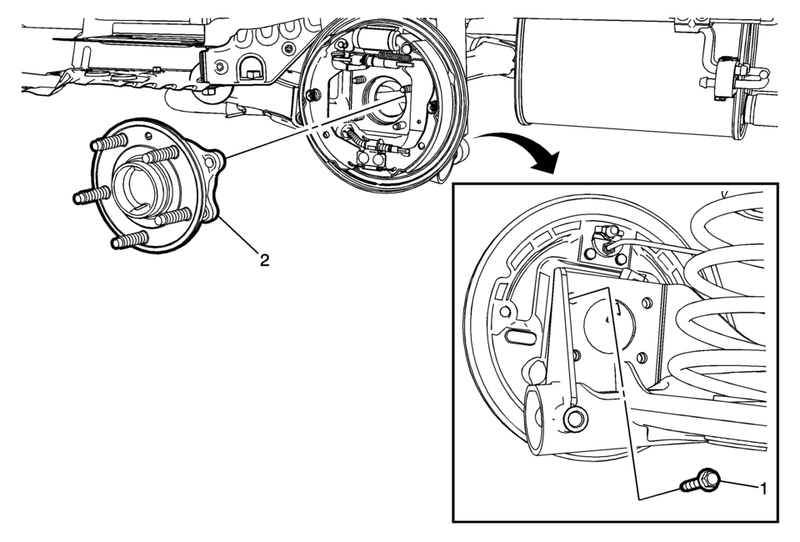 Ensure that the rear wheel bearing/hub is properly aligned with the rear axle to allow access to the wheel speed sensor connector.